The Mastercard Foundation has partnered with the University of Cape Town (UCT) to oversee the implementation of financial, academic, social and post-graduation support to awarded candidates under the scholarship titled The Mastercard Foundation Scholars Program at the University of Cape Town. The vision of the Program is to transition promising young people from beneficiaries to benefactors, preparing them with the necessary values, knowledge, skills, and leadership to fuel economic and social progress across Africa. The Program targets academically qualified postgraduate and postgraduate candidates who are economically disadvantaged young people with leadership potential from Africa. The Program will provide scholarships to academically talented young Africans to pursue undergraduate and postgraduate studies at UCT. Students enrolled on the Program will receive mentoring, leadership development, academic and life skills support. Academic support will include tutoring, language training, writing circles and guidance counselling. In 2020, 85 opportunities (13 Honours and 72 Master’s) are available for students who intend to commence with their first year of registration for full-time postgraduate, Honours and Master’s study. To be eligible to apply for The Mastercard Foundation Scholars Program at the University of Cape Town, applicants must meet the stated criteria as recorded in the Terms of Reference and Conditions of Award document for postgraduate applicants attached to this pack. In order to apply for The Mastercard Foundation Scholars Program, applicants must first apply to the University of Cape Town for academic study and placement. Only applicants, who have applied for academic study and placement to UCT, can submit an application for a Mastercard Foundation scholarship. Applications for postgraduate admission to UCT are open from 1 April 2019. Postgraduate programmes containing coursework mostly close on 31 October 2019, with the exception of a few programmes and faculties which start to close from May onward. Please refer to the 2020 Directions for Postgraduate Applicants for the relevant closing dates and information on courses at UCT, how to apply to the University, as well as support structures available for postgraduate students at the University. In preparing an academic application to UCT, it is essential that applicants refer to various resources for guidance. UCT’s postgraduate prospectus provides information on courses at UCT, how to apply to the university, as well as support structures available for postgraduate students at the university. Detailed information on course offerings and academic pre-requisites is available on the UCT website in the respective 2020 faculty handbooks. For any further enquiries on how to apply to UCT please contact the relevant faculty postgraduate or the admissions office. Contact details of faculty postgraduate / Admissions Officers can be found in UCT’s postgraduate prospectus. Applicants are encouraged to refer to the relevant postgraduate faculty handbook for more information and should ensure that when submitting these documents online, each document is scanned and uploaded as a single document. Documents must be legible and clear. UCT reserves the right to cancel the application if all the necessary certified supporting documents are not submitted on time. Upon arrival and registration at UCT, successful applicants will be asked to provide original documentation of the certified copies submitted during the application for funding from this initiative. Click here to apply online for academic study and placement at UCT. Once the application is submitted it cannot be amended by the applicant. In the event that an applicant would like to change the programme choice and biographical information and/or add documentation, only the Admissions Office can facilitate this. Applicants may monitor their application status online by logging in to the following site - http://www.students.uct.ac.za/students/applications/apply/Postgraduates/check-status. The Mastercard Foundation Scholars Program Office at the University of Cape Town does not process academic applications. Applications for student accommodation in a UCT residence are managed by UCT Student Housing Admissions and Advocacy Services. Applications for student accommodation must be received by 31 October 2019 (post-graduates) and 31 July 2019 (undergraduates). The application is part of the online academic application process. Applicants are advised to tick the first box which reads “I apply for catering student accommodation”. Proof of sufficient funds to cover tuition fees, maintenance and incidental costs (this will be confirmed in the letter of award to successful scholarship applicants). The onus is on visa applicants to check with the South African embassy or High Commission that these are the only requirements for the application as the relevant authorities have the discretion to ask for additional documents. For more information on the South African High Commission or embassy located nearest to you please access: (http://www.dfa.gov.za/foreign/sa_abroad/sai.htm). Accepted international scholars must ensure that a study visa – valid for studies at UCT – is issued prior to departure for South Africa. International applicants will not be permitted to pre-register or register at UCT without a visa valid for studies at UCT. To apply for a Mastercard Foundation scholarship at the University of Cape Town, applicants will need to visit The Mastercard Foundation Scholars Program at the University of Cape Town website. On the home page, click the ‘APPLY' button on the home page, which will direct the applicant to The Mastercard Foundation Scholars Program at The University of Cape Town scholarship application forms. Carefully refer to the Terms of Reference and Conditions of Award documents for postgraduate applicants attached to this pack, prior to completing the postgraduate scholarship application form. Alternatively, request information on how to apply for a Mastercard Foundation scholarship from The Mastercard Foundation Scholars Program: Recruitment and Peer Mentor Officer at info_mcfsp@uct.ac.za (telephone number 0027 21 650 5095/ 5923 / 3601). Applicants are advised to work closely with The Mastercard Foundation Scholars Program: Recruitment and Peer Mentor Officer while preparing and submitting an application for a Mastercard Foundation scholarship. Only applicants who have submitted an application for a Mastercard Foundation scholarship using the 'Apply to be a scholar' Vula site will be considered. Applicants who do not have a UCT network account (e.g., someone@gmail.com) are required to submit a written request for Vula access to info_mcfsp@uct.ac.za. Applicants are advised to use the following subject line: ‘I want to apply to be a scholar at UCT in 2020’. And ensure that each email address requiring access to be included in the body of the email. Once the request is submitted, access will be granted within 24 to 48 hours. Applicants will need to login to Vula using the authorised Vula ID and password. While logged into Vula, click on the ‘Membership’ button to the left of the screen. Click on the ‘Joinable Sites’ button and search for ‘Apply to be a MCF Scholar’. Select ‘Join site’ to become a site participant. Only site participants can submit an application for a Mastercard Foundation scholarship. Download and Save the application form before you start completing the application form. 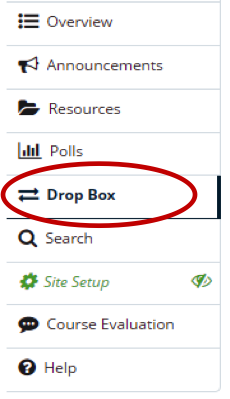 Once the application has been completed, while logged into the Vula online scholarship application platform, a folder with the applicant’s student number will appear below ‘Dropbox’. 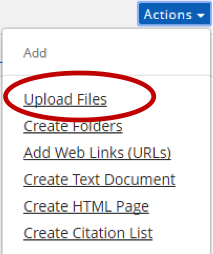 Click ‘Upload Files’ and upload the complete scholarship application and supporting documentation to the ‘Dropbox’ section. Once the scholarship application is uploaded it can be amended by the applicant prior to the official scholarship closing date. Only applications for a Mastercard Foundation scholarship uploaded onto Vula will be considered. Please ensure that all application forms and supporting documentation are clearly legible. Fill out as much detail as possible and provide supporting documents as requested in the scholarship application form to substantiate your application. Should you have queries or require any assistance completing the scholarship application form, do not hesitate to contact the Mastercard Foundation Scholars Program: recruitment and peer mentor officer or the program co-ordinator, at info_mcfsp@uct.ac.za (telephone number +27 (0)21 650 5923 / 3601 / 5095). The scholarship application should reach us no later than 30 June 2019. Applications will be accepted up to and including 11:59 pm (SAST) on 30 June 2019. The University of Cape Town and The Mastercard Foundation reserve the right to cancel incomplete and/or late applications, to effect changes to the conditions of the scholarships or to make no awards at all. We would like to wish all applicants success with their application. Let the leadership opportunity begin! Download the application form for postgraduate applicants. Terms of reference and conditions of award for postgraduate applicants. Download academic referee form for postgraduate applicants. Download the guidelines for postgraduate applicants as a PDF.